Kevin Campbell reckons Arsenal must find a way to play both Alexandre Lacazette and Pierre-Emerick Aubameyang together in the starting line-up. Lacazette missed Sunday's 2-1 win over Bournemouth at the Vitality Stadium with a groin injury and Aubameyang started up front, scoring the winner to leave Arsenal just one point off the top four. The Gunners were reshaped and sent out in a 3-4-2-1 formation that unpicked high-flying Bournemouth but it remains to be seen whether that system will accommodate both of their expensive forwards. "When [Aubameyang's] look at his record, he's played something like 30 games and got 20 goals," ex-Arsenal striker Campbell told Ian Stone's Comedy Breakfast (weekdays 6.30am-10.30am). "That's incredible. He likes to play on the shoulder, he doesn't really get involved in the build-up so Arsenal have got to pick the players that will compliment his style. "Mesut Ozil compliments Aubameyang's style because he's a creative style so moving forwards he could play, and pay dividends on Sunday." 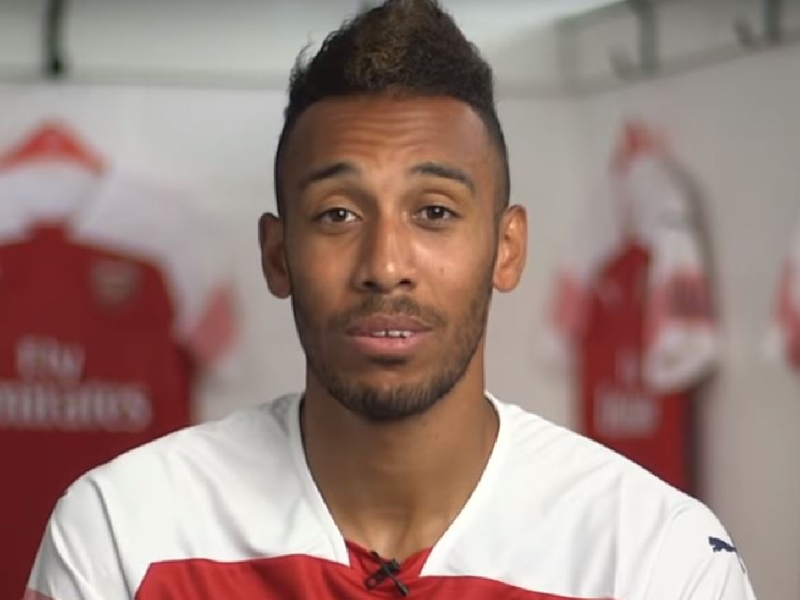 He added: "I would play both of Aubameyang and Lacazette up the top of the pitch. If Lacazette is fit, he plays as the focal point up front because he's better with his back to goal. "He brings people into play, he's good at holding the ball up so Aubameyang and Ozil can get into position to receive balls and run off him. "If Lacazette is fit, he plays but I don't see no reason why he can't tinker with the squad a little bit and get Aubameyang a bit closer to Lacazette because as a partnership they could be devastating." Emery also sprung a surprise on Sunday by leaving Mesut Ozil on the bench; the German did not even appear as a substitute. Arsenal face a trip to Ukraine on Thursday night followed by a north London derby on Sunday, a game for which Campbell expects Ozil to be fired up after being dropped. "I think it's smart management [to drop Ozil]. We know that sometimes when it gets really physical, people accuse Mesut Ozil of not even turning up for the game," Campbell added. "It's away, it was going to be tough so he's used his squad the best he can, he changed the system and Mesut Ozil is there on the bench if he needs him. This manager isn't afraid to make tough decisions. "The challenge is down right there for Mesut Ozil. I think he'll definitely play [in the north London derby]. He's a big-game player. "Sometimes the mindset is more difficult against the smaller teams because playing against the big teams, that's the one you're motivated for. "I think there's a bit of mind games going on with the manager and I think he's challenged Mesut Ozil, and I think Ozil will show up."